Tall Projects is a membership technology specialist. We enjoy partnering with small- to medium-sized membership bodies, typically with 3-20 staff. Clients include Scottish Association of Landlords, Professional Speaking Association, Year Out Group and University of Oxford. See https://www.tallprojects.co.uk/ for more information and to book your free consultation. Parliament Hill work exclusively in the membership sector, to help our 95+ clients to add value to their members by providing a suite of member benefits. We work with our clients to use the benefits offered to help in the recruitment, engagement and retention of their members. Shopping – retail cashback, flowers & bouquets, computers, white goods, suits and books. Lifestyle – Cinemas, mobile phone tariffs and new cars. Travel – Package holidays, ski holidays, car hire, travel insurance, airport parking / lounges, foreign currency and theatre breaks. Health and Wellbeing – Gyms, family entertainment, golf discounts, eye care and spas. Members are demanding more for their membership fee and what better way to quantify that by showing them how much they are saving. The Savings Calculator is an interactive tool which demonstrates the potential savings that members can make by using the member benefits provided. Sometimes the saving made can equal or exceed the cost of membership. We deliver digital transformation for membership organisations. By bringing together strategy, digital and CRM, we transform the entire user experience, improving your membership acquisition, engagement and retention. Member experience matters. 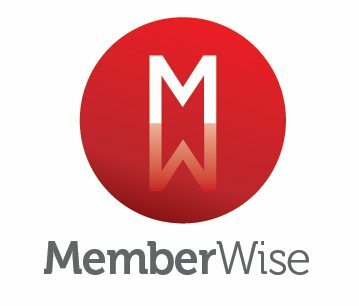 Membership management, member insights and reporting, education, training and CPD, membership finance, Direct Debit, member engagement scoring, events and conferences, venue management, marketing and communications and personalised member portals. Take a look at ‘We are Trillium‘. Chrysalis Digital provides digital transformation services to membership organisations. We work with you to help formulate a digital strategy aligned to your business objectives and processes, selecting the right technology partners for your organisation. We are 100% technology agnostic in everything we do. An Award-winning Microsoft gold partner, ThirdSpace specialises in identity management, enterprise mobility and cyber security solutions. Our vision at ThirdSpace is to enable all organisations to unleash the full power of the digital economy. Securely. Our solutions ensure that anyone, working anywhere, has access to the materials they need to keep working productively in a secure digital environment. Utilising cutting-edge Microsoft technologies, our solutions have been recognised through multiple awards and accreditations. Microsoft has named us Partner of the Year on eight occasions for Identity and Access, Enterprise Mobility, and Security and Compliance. Ensure the right people, have the right access, at the right time. Award-winning identity and access management solutions that take care of identity life cycle management, identity and access governance, directory services and secure authentication. Automate user provisioning, secure your corporate data and meet your compliance requirements. Enable your employees to work in modern, flexible and secure ways. Enterprise Mobility Management solutions that take care of mobile device management (MDM), user authentication and mobile application management. Enable BYOD and remote working with the reassurance you can control access, encrypt data and respond quickly to threats. Identify risks, protect your sensitive data and meet your compliance obligations. Award-winning security and compliance solutions designed to help you identify risks, respond to threats and avoid a data breach. Simplify customer authentication and authorisation to improve customer experience and security. Customer identity solutions that can help you enhance security of customer data, simplify the sign-up and sign-in experience, lower costs, and meet your compliance requirements. We are experienced CRM consultants focused on helping membership and fundraising organisations get the most from their database. Get the support you need to maintain and enhance your membership, fundraising or CRM database, including full implementations, upgrades, improving functionality, automation, analysis, reporting and synchronising systems. What makes MAST ICT unique? By listening carefully, we specify and quote your project correctly first time, identifying the solutions and working on-site to maintain communication throughout. An open, honest and unbiased approach is embedded in our ethos to ensure you receive support, actions and deliverables based on what is right for your organisation. Your experienced CRM consultant will work with you to identify the issues and best solutions whilst speaking fluent human, without confusing technical jargon. Having worked within NFP organisations, our consultants truly understand your frustrations, challenges and barriers and how to overcome them with the least disruption. dotmailer is a leading marketing service provider with data-powered automation at its core. We’re passionate about shaping the omnichannel marketing space, and for nearly 20 years we’ve helped thousands of clients strategize their campaigns and drive real business growth. Every one of our 300+ team is committed to making the platform the best it can be for our 3,000+ customers. Our aim? To empower serious marketers with the tools and services they need to deliver meaningful customer experiences that generate outstanding results, every time. Pedalo is an award winning supplier to the membership sector, offering services that range from digital transformation, consultancy and change management to digital solutions, including website build and system integration. Pedalo have over 17 years of experience in digital, helping organisations make the most of their technological platforms. They place a strong emphasis on user experience and get results. Their experience and technical know-how ensure delivery of complex projects on time, on budget and above expectation. They understand the digital challenges facing membership organisations and are the perfect partner to help clients overcome them. You can find additional case studies on their work for CIPR and The Fostering Network. Their work for IOM3 was also featured on Drupal.com. Pedalo are winners of the Highly Commended ‘Supplier of the Year’ Award from the MemCom 2017 Conference.